There is good reason I haven't penned a review in what seems ages. 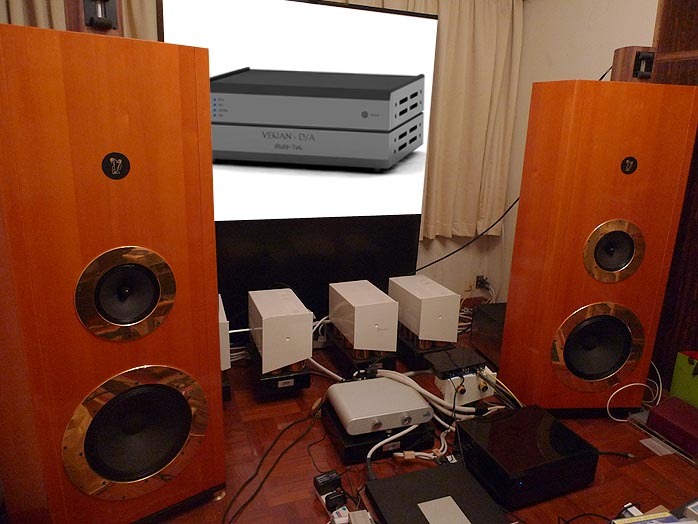 Ever since my acquisition of a full suite of Da Vinci Audio Labs electronics beginning with their passive preamp all the way to the Intonation speakers, I had experienced no second thoughts of changing a thing. Music got a hold of my emotions quickly and easily. Analytical hifi jargon purged from my mind in the process. Everything felt in balance even though the upgrade bug bit again and I did change my Audio Smile super tweeter to a custom-commissioned unit by Raal, designed to match perfectly with the widebander of the Intonation, a concept the Audio Smile philosophy had introduced me to but which the Raal unit now takes to even higher quality and specifications. Such is the synergy of this system that there really isn't anything I can test or review because any such outsiders would immediately and unfairly be branded aliens, to be reflected in the final sound almost immediately. The only area where I can experiment without disturbing the Da Vinci chain of amplification and speakers is at the source. My references there are time-proven digital champions, the Zanden Audio 2000p/5000s quartet and the Orpheus Labs Zero transport/Heritage DAC combo. What else could I change except for the fun of trying new audio toys? No sooner thought than three components became available for sampling which immediately reignited my review passions again: the Vekian converter by Stahl-Tek; the Reference preamp by Music First Audio; and the Unison turntable by Da Vinci. I will reserve comments on the latter two until I'm intimately familiar with them. My listening philosophy has changed to a more 'holistic' approach from 'the semi-analytical' earlier efforts. Nowadays, I am looking for a seamless integration of all frequencies blending into a holistic picture, with energy from musical notes engulfing me in the same sound space without any highlights, i.e. not the HDTV type of presentation where there is a clear segregation between the watcher and the high-definition screen. I believe that talking to the designer benefits the consumer-by-proxy perspective more than quoting a manufacturer's specifications but one of the latter did catch my attention here: the S/N ratio of the Vekian is claimed to be better than 127dB. That's 10 and 9 decibels better than the Orpheus Heritage and Boulder 2020 Advance respectively. The Vekian's dynamic range also is given as 127dB. I remember how Thierry of Anagram Technologies once confided to me how extremely difficult is has become to improve his S/N ratio beyond 117dB. And here was an unknown company to apparently do just that - by a substantial margin no less. Numerous subsequent emails correspondences with the modest designer Mike Stahl had me convinced that his Vekian DAC would be worthy of a trial. He knew that my source components are widely recognized as being state of the art but never once did he so much as hint at downplaying them. Rather, he answered all of my questions patiently. There is no need to reiterate the technical design as all the specs can be readily found on his website. I'll mention just one attribute that sets it apart from the rest. The oversampling of the Vekian DAC is implemented via hardware, not software. Mike told me that the latter is very convenient due to being able to download different upsampling algorithms to evaluate the results in a repetitive manner. Hardware solutions are less convenient but the advantage, according to him, is a much more natural rendition of the crucial midrange. On the Stahl-Tek website, it describes the sound of the Vekian DAC as being reminiscent of vinyl playback. Having enjoyed close encounters with widely acclaimed turntables such as the TW Acustics Raven AC, Da Vinci's AAS Gabriel and Bergmann's Sindre, I considered the gravitas of this statement no heavier than a feather. Yet Mike's modesty alongside my own growing curiosity eventually led me to bite the bullet. As it turned out, Mike was truly factual with his words. selector button. At 50 pounds, the whole unit is quite heavy. The polished Corian dress plate on top adds an extra dimension of understatement. 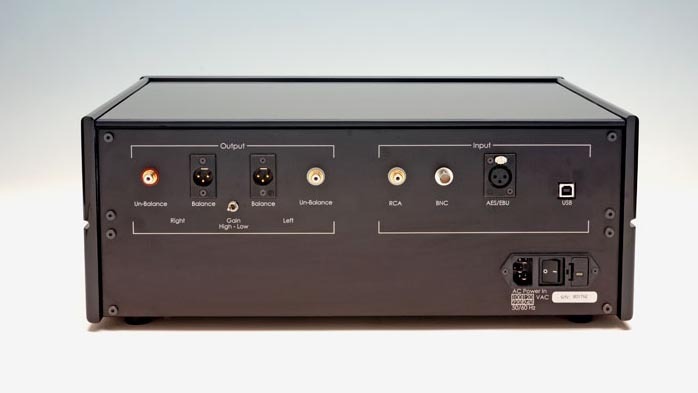 Similar to the Heritage DAC, the power supply sits at the bottom of the chassis beneath the main circuitry. Unlike the Heritage however, the monolithic Stahl-Tek unit cannot be physically separated despite the obvious two-tier structure. Let's cut straight to a few listening notes. Right at the beginning already, I tested with demanding recordings. Kathleen Battle is an African-American soprano known for her agile and light voice with a silvery tone. Her rendering of Mozart challenges even top DACs because any misdistributed energy immediately transforms her silvery timbre into silvery arrows firing at your ears. If the mid-to-lower vocal range is too heavy, the light voice of hers simply disappears. If jitter is an issue, Mozart's spontaneously rhythmic lyrical lines will be shattered and broken into pieces.. The Vekian not only passed all the innate challenges but elevated my musical enjoyment because of it ability to display polychromatic fine resolution. The density of the whole musical fabric was indeed and truly reminiscent of vinyl playback at the very upper echelon. The overall sound always delivered explosive dynamic alongside calmness and silence, making it very easy to get involved. Put differently, the claimed 127db S/N ratio definitely asserted itself.